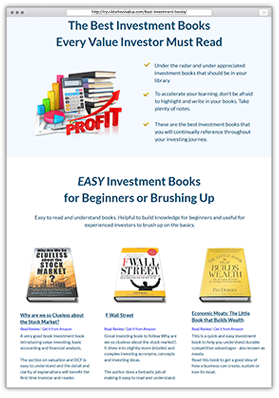 The best list of investment books for value investors hands down. Organized by difficult as well as links to reviews. 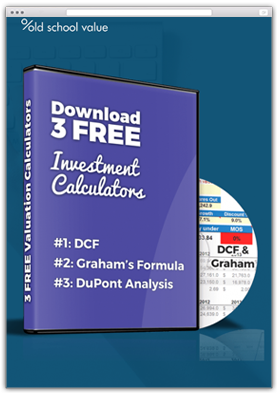 Download a DCF, Graham's Formula and DuPont analysis calculator to analyze and value stocks effectively. 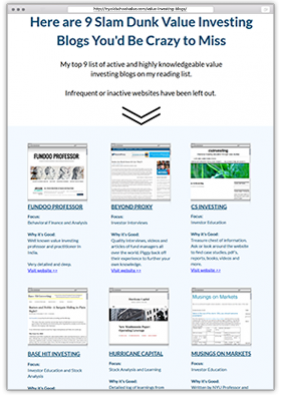 The best active value investing blogs you should read and follow to improve your investing skills. 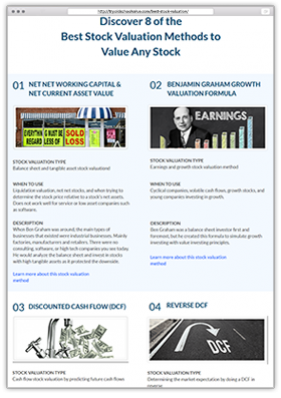 Learn about 8 different valuation methods you can use to value stocks. Get an idea of how each one works, when to use and when not to use. 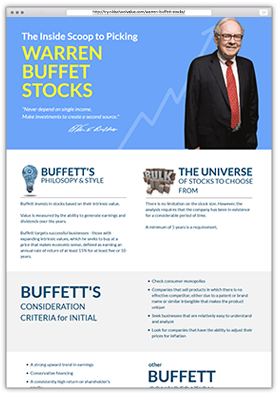 Who doesn't want to invest like Buffett? 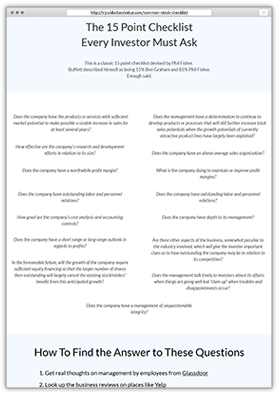 Well get closer to his mindset with this resource and understand what type of company he likes to invest in. 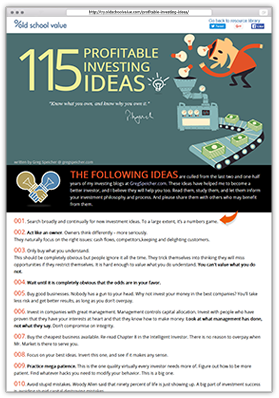 Investment blogger Greg Speicher offers 115 ideas on how to invest profitably. Learn from somebody else's experience to improve your own. A checklist is one of the most important tools you can have in your investing arsenel. Check out these 15 points created by Philip Fisher, Buffett's mentor. 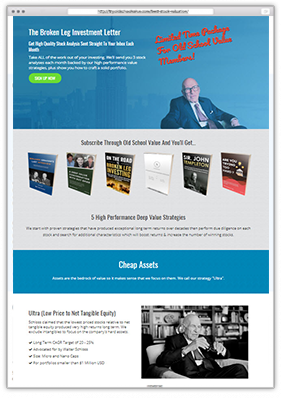 A high quality paid newsletter that offers unique money making stock picks. You won't find these stock ideas anywhere else. Great ROI newsletter. 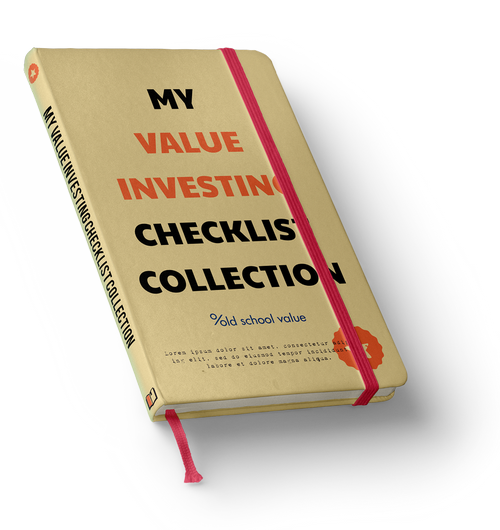 Download my checklist collection as well as other value investing goodies now.